Fortress Of Freedom Board :: View topic - Yung Spot About To Release Next Album! Yung Spot About To Release Next Album! Posted: Sat Oct 20, 2012 1:04 pm Post subject: Yung Spot About To Release Next Album! 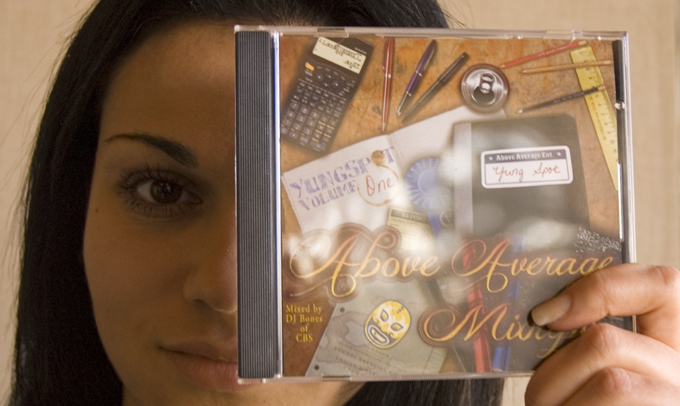 Shane Murphy, General Manager: FOF Inc./FOF RECORDS Inc.
Yung Spot's First FOF Album: "Above Average"
Ready, get set here we go again! Yung Spot is about to release his second album with FOF RECORDS! The 16 song CD to be called "#InDaMakin Vol2: Husler/Scholar ed." follows his previous album titled "Above Average" released earlier this year. We first came across Yung Spot at the FOFSTOCK concert at Yonge-Dundas Square and were blown away with by his talent and abilities and the second CD reinforces FOF's support for talented local artists like Yung Spot. We all wish Yung Spot all the best in his second release with FOF and FOF Records!